Matthew A. Nowels focuses his practice on guaranteed asset protection, service contract, warranty, motor vehicle ancillary product and insurance law. He assists companies with structuring their business operations to ensure compliance with existing law. This includes helping administrators and providers of these unique products build their programs from the ground up, including formation and national licensure. He also assists companies with the drafting and filing of forms, developing compliance procedures, and interacting with regulatory departments across the country in response to various compliance matters. Mr. Nowels also represents clients in connection with national government relations projects. This includes assisting clients with assessing their business goals and determining how state legislation can help them meet such goals. He has had extensive experience with drafting legislation, meeting with state regulators and legislators, testifying in front of legislative and regulatory committees, and managing an existing nationwide network of local government relations experts in an effort to enact legislation serving his client’s business interests. Mr. Nowels serves as Assistant Executive Director of the Guaranteed Asset Protection Alliance (GAPA). GAPA is an industry trade association that promotes fair and equitable regulation of its members and their GAP products. He oversees GAPA’s efforts to monitor legislative, regulatory and administrative activity throughout the United States, and lobbies both legislators and regulators regarding various GAP issues. In his time serving as Assistant Executive Director, he has successfully passed sensible laws in several states across the United States. Mr. Nowels began his legal career at the Florida Department of Insurance where he represented the Department in administrative and appellate insurance litigation matters. He then joined the Office of Insurance Regulation as Assistant General Counsel where he was involved in company regulation. In 2004, he served as in-house counsel for Citizens Property Insurance Corporation and managed the Corporation’s Agent Administration Department. As counsel to the Corporation, he also oversaw several large non-claims lawsuits and represented the Corporation in a variety of matters including depopulation transactions. From 2008 to 2014, he practiced insurance regulatory law with Blank & Meenan, P.A. 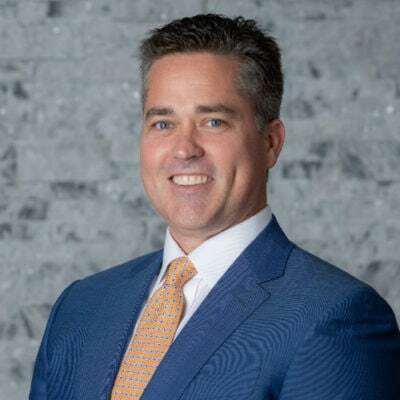 Mr. Nowels received his Bachelor of Arts degree in 1996 from Davidson College and his Juris Doctor from the Florida State University College of Law in 2001.